Edouard is a performance marketer with very much a global perspective. Having studied in China, he worked for J&J in France, Gameloft in South Africa, Iconpeak in Germany and is now based in Wellington, New Zealand, with game developer/publisher PikPok heading up the marketing operation. What do you foresee as being your biggest challenge for the year ahead? China is by far the biggest challenge in the upcoming year, as it represents a large proportion of both our revenue and DAU. However, succeeding in China is far from being a straightforward process. There are a lot of challenges such as store regulations, market fragmentation on Android, app promotion, app localization, and app monetization. We recently decided to hire a team member who will be solely dedicated to leading our publishing effort on this market and tackle some of these challenges. What do you see as the main benefits of in-sourcing your user acquisition? And the main disadvantages of working with an agency? We haven’t considered outsourcing to an agency as we wanted to keep maximum control on our media spends and had enough resources to build a team internally. We also believe that growth is an essential part of our product development and strategy, so it should be considered during the entire product life cycle, from pre-production, production, launch, and sustainable phases. Outsourcing your marketing budget to either an agency or a consultant might be a better option for indie or small developers who want to focus their effort/time on the product and don’t have enough knowledge to either recruit someone or do it themselves. Always keep in mind that working with an agency can be very costly, especially if you are looking for the best level of expertise. On top of that, you would have to factor some of the cost attached to your marketing campaigns, such as asset generation (you would have to produce these assets yourself if not done by the agency) and analytics because it is essential for you to collect the data generated by these campaigns. How many channels are you currently live with? How many channels do you plan to explore in 2019? Our biggest expansion was at the end of 2017 when we decided to test and open to new channels outside of the usual Facebook/Google duo. We are now working with 7 to 10 different channels, but this number varies a lot on a game to game basis. We have plans to work with new providers, especially in China where we are experiencing the strongest growth, but initially, we might stick to the most reliable platforms, such as Tencent, WeChat, and Baidu as the risk of fraud is higher in this country. 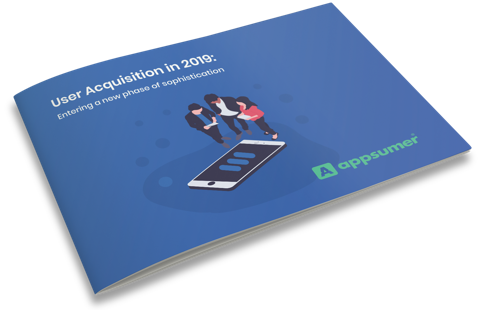 What have you found to be the most critical metric for user acquisition success, and how has this changed since last year, if at all? For a long period of time, we were measuring the success of our paid campaigns by mostly looking at our eCPI. However, trying to buy at the cheapest cost wasn’t the best approach as we were missing out on both the volume and the most qualitative users. We progressively shifted to a 100% ROAS approach with a strong focus towards early engagement metrics such as D1 retention, sessions or FTO buyers. With this new approach, the CPI is less relevant. Since then, we experienced a significant increase in our campaign profit, ARPDAU, and overall LTV. What do you consider to be your “north star” metric? To what extent is this shifting in 2019, and why? Our focus has always been profitability with the goal to break even after 60 or 90 days depending on our titles, so the ROAS was, and still is our main focus. How do you see AI impacting mobile user acquisition in the coming year? Have you been/ do you plan to incorporate it into your operations? The shift from both Facebook (with AEO/VO) and Google (with UAC) toward event-based bidding campaigns, followed by a few networks, such as Unity or AL with retention/ROAS optimizers, has shown us that the end of 2017 and 2018 were big years in terms of AI. As an advertiser, we have been progressively spurred to move away from the usual app install to these new campaign models, which in certain cases has demonstrated to be extremely powerful in delivering high-quality users. There are definitely a lot of improvements that could be done on some of these tools, especially in terms of efficiency and predictability, so I would expect it to consolidate in 2019.